With the River Tay and River Dee 2018 salmon fishing seasons about to close the focus for thousands of Scottish salmon fishers starts to intensify towards the fantastic Spring run of salmon these 2 famous rivers are fortunate to benefit from. To my mind a fly caught Spring fish is worth 10 Autumn salmon due to their amazing condition and hard cold water fighting qualities and many salmon fishers think along similar lines. 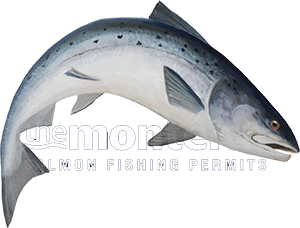 When you're fishing in the high early water of Spring you need to switch onto a different fishing mode where you're scanning the salmon pools for pockets of calmer deep water as often Spring salmon won't show themselves when the river is running cold. Assumption mode with an underlying confidence in knowing that these fine creatures are present is how you must set your mind for Spring fishing during the early months of the season. When mid March arrives on the Scottish salmon rivers things always seem to change as normally a lift in the air and water temperature arrives at this time. Whether you recognise this shift or not the salmon will certainly be aware of it and more fresh run Spring fish will start to ascend the rivers. Once April & May arrive and the warmer Spring water temperatures you'll have no problem seeing salmon show as the main run arrives in the rivers. On a personal basis I love the early months of the season before the big numbers of Spring fish appear as I love to fish salmon pools that appear to be holding no salmon. On many occasions on pools that appear empty I've caught & seen guests catch salmon that you'd never have believed could have been present. This fine salmon was one of two nearly identical fish caught during March on the River Tay by this young salmon fishing guest when nothing was showing.